Going through Vietnamese lessons is enough to get by and learn the basics of Vietnamese, but to truly become fluent you need to be able to think in Vietnamese. This will allow you to have conversations with ease, read smoothly, and comprehensively understand natives. To do this, you need to go beyond just completing daily or weekly lessons. We naturally translate in our heads because it’s viewed as the easiest way to learn the definitions needed when learning a language. This way of learning can actually hinder your skills and fluency later on. If your brain has to make neural connections between the word you’re learning, what it means in your native tongue, and the physical object the connection will not be nearly as strong. When you bypass the original translation between Vietnamese and your native language then there is a more basic and strong connection between just the Vietnamese vocabulary word and the tangible object. In this blog post, you will learn the 4 important techniques to easily and naturally begin to speculate about the daily occurrences in your life. The best part is all of these techniques are supported and can be achieved through VietnamesePod101.com. Create Your Free Lifetime Account and Start Learning the whole Vietnamese Language from the Beginning! By surrounding yourself with Vietnamese constantly you will completely immerse yourself in the language. Without realizing it you’ll be learning pronunciation, sentence structures, grammar, and new vocabulary. You can play music in the background while you’re cooking or have a Vietnamese radio station on while you study. Immersion is a key factor with this learning process because it is one of the easiest things to do, but very effective. Even if you are not giving the program your full attention you will be learning. One great feature of VietnamesePod101.com is the endless podcasts that are available to you. You can even download and listen to them on the go. These podcasts are interesting and are perfect for the intention of immersion, they are easy to listen to as background noise and are interesting enough to give your full attention. Many of them contain stories that you follow as you go through the lessons which push you to keep going. Learning through observation is the most natural way to learn. Observation is how we all learned our native languages as infants and it’s a wonder why we stop learning this way. 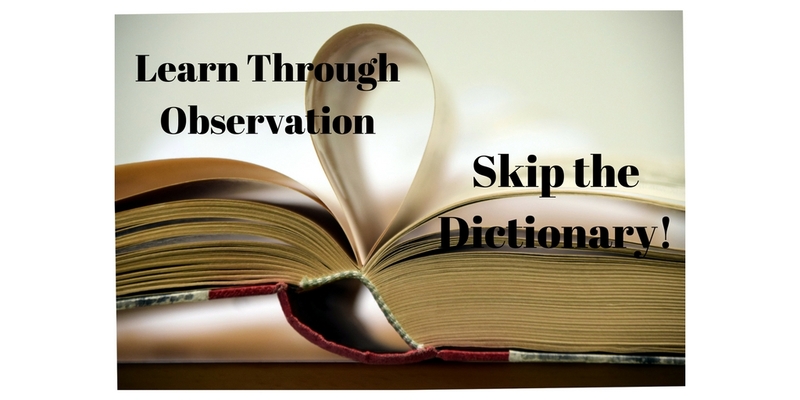 If you have patience and learn through observation then Vietnamese words will have their own meanings rather than meanings in reference to your native language. Ideally, you should skip the bilingual dictionary and just buy a dictionary in Vietnamese. VietnamesePod101.com also offers the materials to learn this way. We have numerous video lessons which present situational usage of each word or phrase instead of just a direct translation. This holds true for many of our videos and how we teach Vietnamese. Speaking to yourself in Vietnamese not only gets you in the mindset of Vietnamese, but also makes you listen to how you speak. It forces you to correct any errors with pronunciation and makes it easy to spot grammar mistakes. When you speak out loud talk about what you did that day and what you plan to do the next day. Your goal is to be the most comfortable speaking out loud and to easily create sentences. 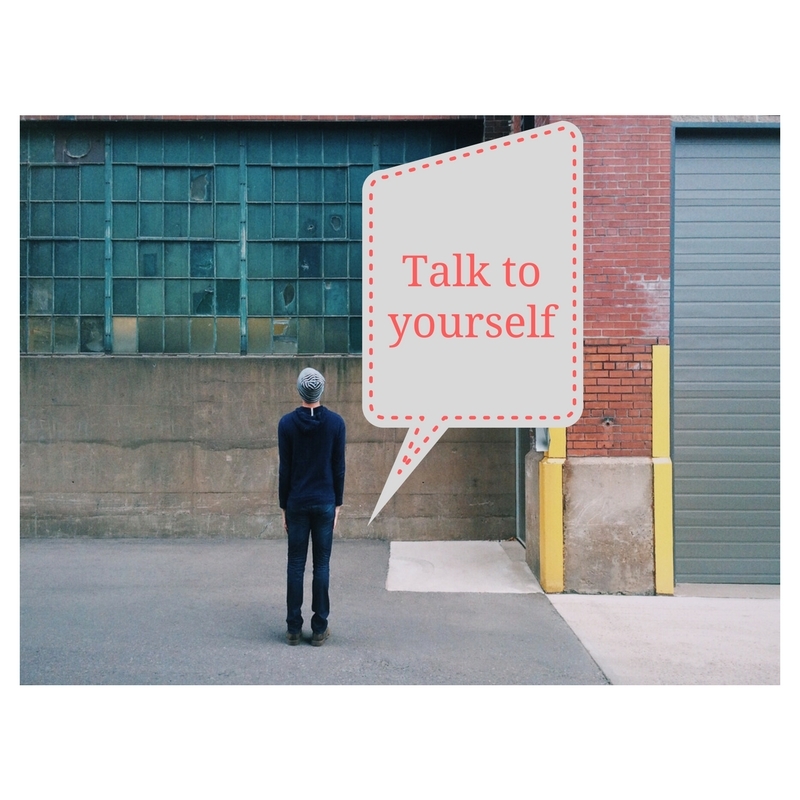 Once you feel comfortable talking to yourself start consciously thinking in your head about your daily activities and what is going on around you throughout the day. With VietnamesePod101.com you start speaking right away, not only this, but they have you repeat words and conversations after a native Vietnamese speaker. This makes your pronunciation very accurate! With this help, you are on the fast path to making clear and complex sentences and then actively thinking about your day. It’s tough to find motivation to study everyday, but VietnamesePod101.com can help. 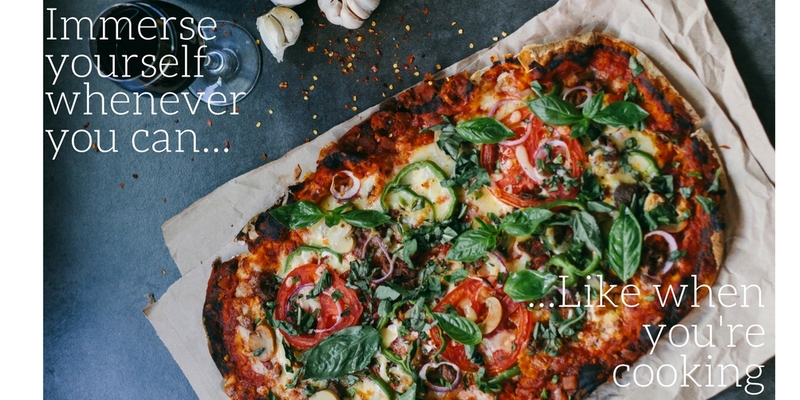 It’s easy to stay motivated with VietnamesePod101.com because we give you a set learning path, with this path we show how much progress you’ve made. This makes you stick to your goals and keep going! Following the steps and having patience is the hardest part to achieving your goals, it’s not easy learning a new language. You are essentially teaching your brain to categorize the world in a completely new way. Stick with it and you can do it just remember the 4 tools I taught you today! With them, conversations, reading, and understanding will become much easier. 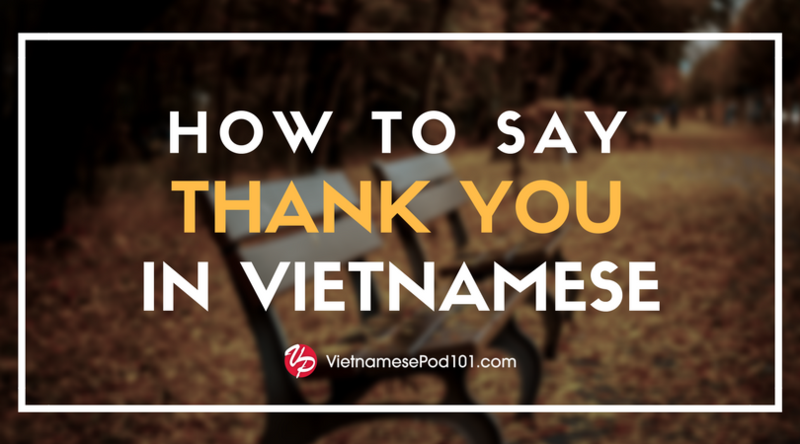 The most important thing to remember is to use the tools that VietnamesePod101.com provides and you will be on your way to being fluent! Learn Vietnamese With VietnamesePod101 Today! 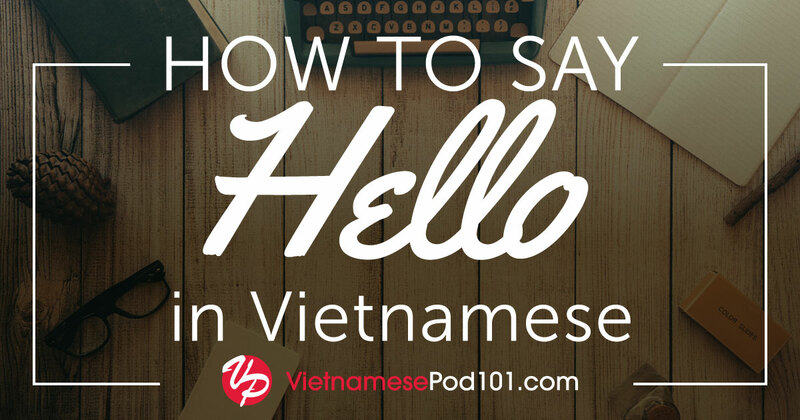 How To Say ‘Hello’ in Vietnamese, and Other Vietnamese Greetings!